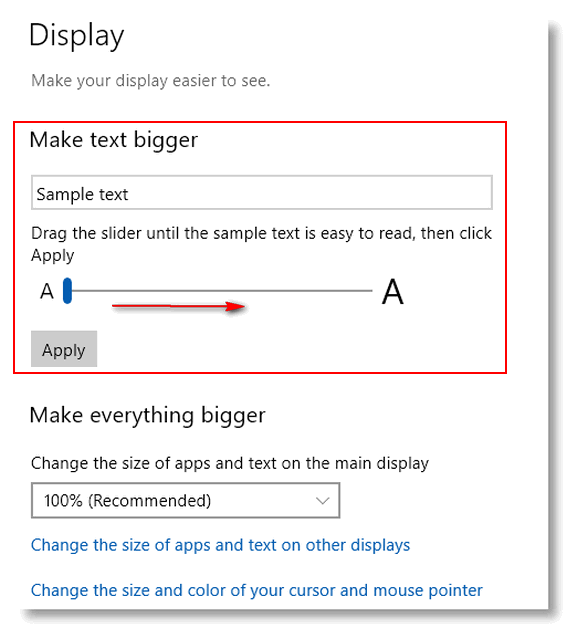 When Windows 10 was introduced, users had the ability to change font size for everything. But the change font size option was removed from Windows 10 starting with Windows version 1709. After that release, the only way to change the font size system-wide was by using 3rd-party programs. 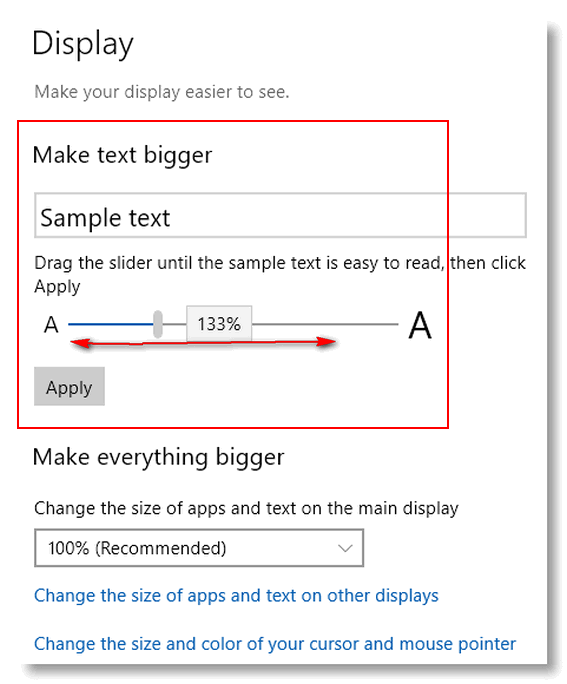 Starting with Windows 10 version 1809 (October 2018 Update) the option to change font size across the entire operating system is back – and it’s easier to use then ever. Press and hold down the Windows key and tap the U key to open Ease of Access. (You can also access Ease of Access from the Settings menu). In Ease of Access click on Display. And that’s all there is to it. You may have to play with the slider to get the text exactly the size you want. You can use high contrast settings and choose a setting that works for you. Hold down the Windows Key and tap the u key to open Ease of Access. In Ease of Access click on “High contrast” in the menu on the left. See if any of those settings work for you.